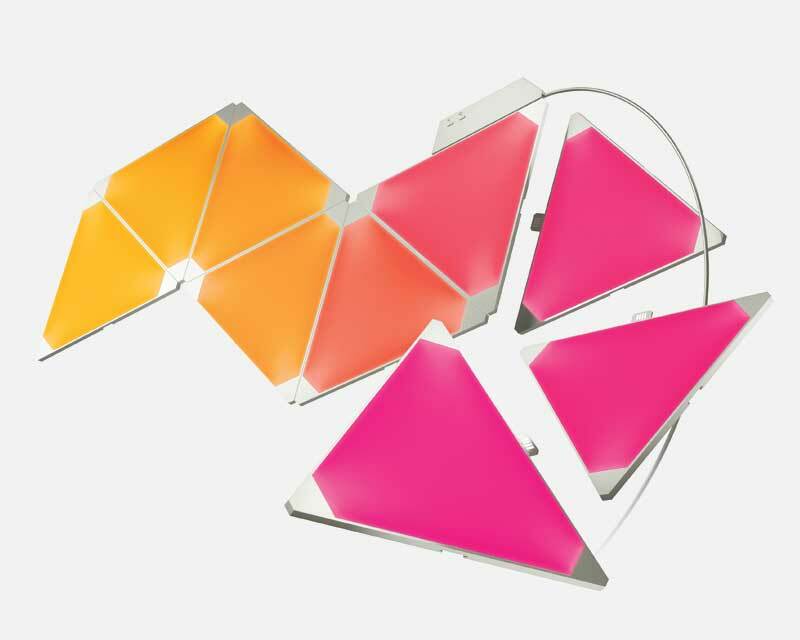 The Aurora’s modular dimmable light panels can bathe you in as many colours as there are people in New York City. 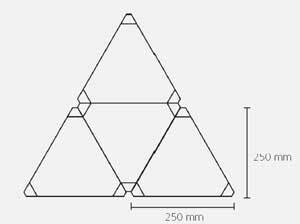 They can also recreate the perfect white light for your needs – sunrise, rainy day, brilliant daylight, or anything in between. Create unique shapes and designs with the modular panels, and select your own colour palettes to set the mood and create ambiance inside. 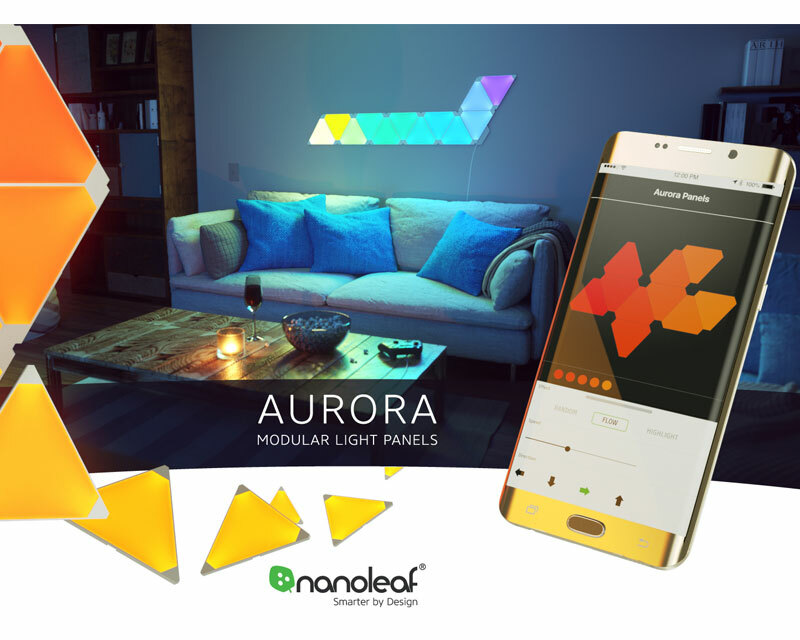 Nanoleaf Aurora’s high-tech enables you to control the panels by using voice (iOS / Siri), the “Nanoleaf Smarter Series” App, or the included physical controller. Schedule custom alarms and time triggers to fully automate your lighting experience. 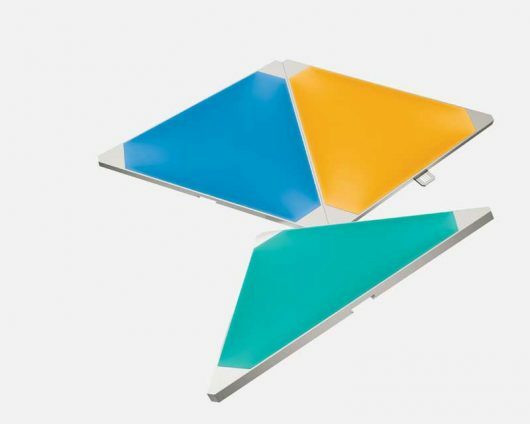 Each Smarter Kit is expandable up to 30 panels (see Nanoleaf Aurora Expansion Kit).